You can set up your iPhone or iPad to connect to your InMotion Hosting email by following the steps below. If you do not know your email settings, please see our Getting Started guide for Email. Also, if you are a Reseller, your settings will differ; you can view email settings in cPanel at any time. From your home screen, Open "Settings". Under the "Mail" section, choose "Add Mail Account"
Fill in the information on this "New Account" screen. Your address will be the entire email address, the password will be the password that you set for just this email address. The iPhone will think about your settings, then it will bring you to the next screen. You will then be asked to choose between IMAP or POP. This depends on what your personal preference is. In most cases with a mobile device, you will choose IMAP as it will be able to synchronize to other devices that check the email too (i.e. : a laptop, a desktop, or another mobile device). Be sure to replace ## with your server number. You can find this in your AMP technical details. For example, if your hostname is biz24.inmotionhosting.com, your server number is 24. You would then replace secure##.inmotionhosting.com with secure24.inmotionhosting.com. As in the previous step, please be sure to replace ## with your server number. Hit "Save" in the top-right corner. The iPhone will process your information. This may take up to 10-15 minutes depending on your connection speed. It may take considerably longer if you are NOT connected with WiFi and are only using the regular 3G or Edge connection. It is highly advised that you connect with WiFi. By default the iPhone will try to setup all connections with SSL enabled. If you do not use the correct SSL host name, you may receive an error. "Cannot connect using SSL, Do you want to try setting up the account without SSL?" Hitting "Yes" will force the iPhone to use the non-SSL settings. This is fine to use, but you may find it troublesome later if you are trying to send mail and the ISP you are connected to has port 25 blocked. "Secure Connection Failed, The certificate for (your email address) may not be valid." The iPhone will yet again process your information. This may take up to 10-15 minutes depending on your connection speed. This error may pop up again (this time for the Outgoing server), select the same option again "Continue". Again, you will have to wait. Finally, the screen will slide-down out of the way, and your email account is setup! No matter what I do I get Your user name or password are incorrect on iphone6. I've spent over 3 hours trying to get it to work. It started spontaneously after it had been working since January. Key points: 1) it works on my mac; 2) I've tried deleting the account and re-installing it several times; 3) I've tried non-secure (mail.drjeffkaplan.com) and secure (secure147.inmotionhosting.com); 4) the passcode is correct (hasn't changed; matches keychain and mac); 5) followed instructions explicitly (e.g., email is correct; user name is complete email address; Ports are as instructed (for secure IMAP Incoming 993, outgoing 465; non-secure: incoming IMPA 143, outgoing 587; SSL is either turned on (for secure) or off (for non-secure); 6) It works on my other devices (such as iPad); 7) Whenever I sign on to my email via the Mac I get the warning error that the certificate to mail.drjeffkaplan.com could not be verified and asks me if I want to connect anyway, which I do and then have no problem accessing email (though, on the Mac the IMAP account name is entered as mail.drjeffkaplan.com with 143 as the Incoming Port and "SSL" checked. Your help is much appreciated. By what you explained, the iphone should not have any issue connecting. This is especially true if all the settings are identical on all three devices and two are working. The conclusion is that the issue is with the device. For that, you will want to contact Apple or visit a nearby Apple store and have them take a look. It still may be a setting on the phone somewhere or even something more such as an issue with the phone itself. Thanks for your reply Scott. To clarify, both the iphone and ipad are giving me the same error message. All my other email addresses (I have 10) from verious servers work fine. The only one that doesn't work is the one from imotionhosting and on my mac, the two that are served by inmotionhosting consistently gives me certificate error (which I ignore nad the one still works but the one doesn't). I just want to be clear that you are using non-ssl to connect and you still get SSL errors? Have you tried removing the account from the device and re-adding it? Hi, when I send an email from my phone it does not show up in my sent messages on my computer, how do I fix this? When you first set up your iPhone to check your email hosted with InMotion Hosting, it's possible you will not see the Sent, Trash, Drafts, and Junk folders. Typically, these folders are in your INBOX and you'll need to set the prefix path for it to work correctly. Please follow our guide on Syncing your IMAP folders on your iPhone. I am currently using POP3 but would like to try IMAP so I added it on my iPhone 5S. (1)Sent mail does not show up in the sent folder. Why? How is that fixed? 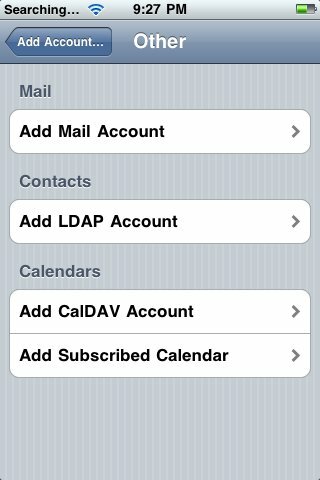 (2) I need to make folders in my inbox to separate emails - that is why I want to use IMAP. When I try to add a folder to the inbox, it won't let me. I've googled this and found I need to make the folders on the hosting email and it will sync with my iPhone. How do I do that? I really need to have mail folders. Thanks! I just answered part of my question. I created folders in RoundCube and they are showing up on my iPhone. However, the sent messages still are not showing in the sent folder and I am subscribed to the folder. How do I get my sent emails to show in the sent folder? My rouncube account is working fine on my PC. However, I am having problems on my iphone. If I send mail from my phone it does not save in the Sent folder althogh the mail does get sent. When I delete mail on my iphone it deletes the mail but it does not appear in the Trash folder. Basically all I can do is receive mail. I have attached a screenshot of my settings. Thanks for your help. I am not very tech saavy! Unfortunately screenshots cannot be added here. Are you referring to connecting to your email via your iphone email client? 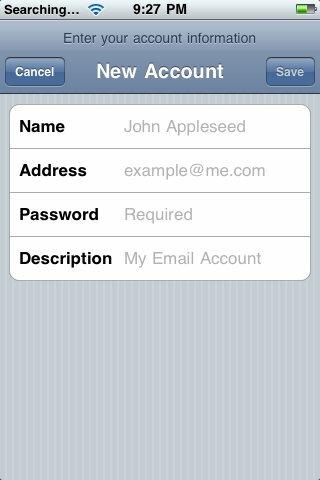 Or are you logging into your webmail using example.com/webmail using your iphone web browser? If using the client, then you likely just need to subscribed to the Sent folder. This is not normally recommended, however. As long as it is sending, that is the goal. where it says "Be sure to replace ## with your server number. You can find this in your AMP tech details etc" I was at first a little confused, and did not see my server number in my accounts tech details but I found them under "host name"
I have set up my new email account on my phone, but incoming is not working. Help anyone? These instructions should work without issue the vast majority of the time. When they do not, it is generally an account specific issue. For that, if you are one of our customers, you will want to speak with Live Support and they will take a look at all the individual settings with you. Sorry you're having problems with your iPhone receiving or sending email. If you're on the road, the problem may be with your internet connection preventing you from making connection via the ports for email. 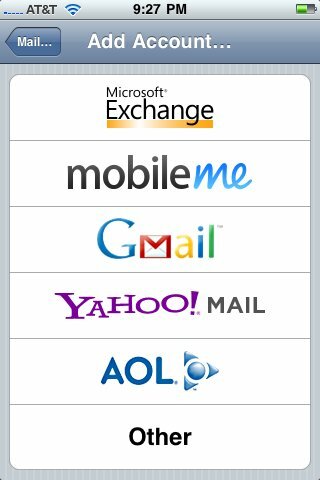 If you can get to the internet, and you have an account with InMotion, then you will be able to access email through the webmail clients. If you are unable to get into the webmail client, then the issue is either the internet connection or your email account. I hope this helps to answer your question, please let us know if you require any further assistance. I can't get email! I sucessfully changed my password online yesterday but my ipad and iPhone don't acknowledge it!!! What do I do? This error is fairly common in iPhone users. To correct it, go to Settings, then Mail, Contacts, Calendars, then tap the email account. Within this page, go to Advanced. Here, you will see an option that says IMAP Path Prefix. Change this to INBOX. Your mail should then be able to be deleted just fine. I have configured my email on my iphone but i receive the emails but cannot send them. May you kindly help, please. Sorry for the problems with email. If you are having problems with sending email, then it is most likely a result of the SMTP (or outgoing) email settings. Make sure that you compare your proper email settings against what has been set in your phone. If you continue to have problems, we would need more information such as your domain name and the email address having the problem. It worked perfectly! No changes recommended. I only receive emails when I am in the mail icon. How can I get notifications when I get a new email? 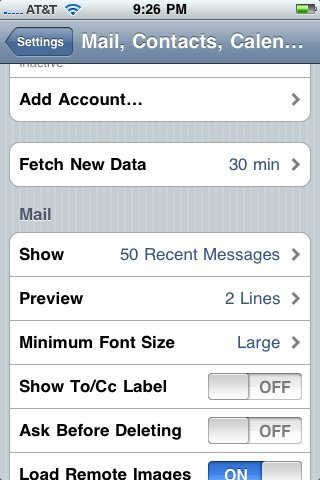 There is a setting for push notifications in Settings -> Mail, Contacts, Calendar -> Fetch New Data . Push should be an option on that screen. Can you please provide the full error you are recieving? Have you tried going through the article for setting up outlook? Hi: I have a HUGE iPAD2 MAIL CRASHING PROBLEM. Using iPad2 and Mail app with 10 seperate email accounts setup (This has worked fine with no problems for the past 2-3 years)..
A few days ago I was forwarding an email to someone with several large attached pictures (6 images each image between 3 - 6 MB each). As I had clicked forward mail I then copied and pasted a 7th image into the body of the email message which then appeared in the body of the email. I then proceeded to enter the TO: (recipient) and it was moving slow entering the persons email address when suddenly it selected an incorrect email address from the list as I was typing and then froze the screen. The screen froze and turned white. After about a minute or two the email program crashed and returned me to the main ipad icons screen. Everytime I tried to open the mail program it freezes and after 5 -7 seconds it closes to the main icons screen. I have tried deleting the offending emails from online that I was forwarding (please note that this email I was preparing to send out was neither in the draft emails box nor in the sent email box online enen thoufgh I use imap.) I checked the internet for solutions and read and tried almost every suggestion I found for this problem without any success. My email apps on my phones, other Gmail app on my ipad, my outlook programs, my online email accounts all are working well with the exception for this ipad2 Mail App. Sorry to hear about your problems with the iPad 2 and email client. I researched the issue very generally on the internet and there are definitely reports of crashes, but no corresponding conditions that ties all of these issues to a specific cause. To begin troubleshooting this issue, you should make sure the client is setup correctly, then make sure that any PENDING emails to be sent are not sitting in the client. Make sure that you have sufficient free space on your iPad. If you have less than 10 MB and you're trying to send multiple messages with large attachments, then it's possible that you're simply out of memory. Also, try creating a test account with no emails and then send yourself those emails with the large attachments. I am unable to an iPad2 here, but I do have access to an iPad mini (with the latest iOS 8.1.1), but I'm not having the problem you're having. I sent myself a few emails with 6-7 MB attachments, then I forwarded them to a co-worker with no problems. This doesn't mean that there isn't a problem, but I can see that it does not appear to be account related with our email servers. If it were a server-side problem, then it would happen regardless of the device (and memory). So, apologies for the problem you're having with the iPad. I hope this response gives you a positive direction in order to resolve the problem. thank you for responding. The mail clients are all configured correctly. There are no pending emails in any of my accounts. I do not have a space issues as I have lots of gigs remaining. I setup a new account on the ipad2 but I still cannot open the mail program. When i send messaages to the account from other devices the badge on the mail app icon reflects the new mail but I still cannot open the Mail app without it crashing. please help me in resolving this problem. At least if i can find a way to force the ipad2 to skip the account that is giving trouble this will be appreciated. Even if i can find a way to force it to stop trying to send or receive the particular mail account it would be appreciated. the save buttone never showed up only next but it was not blue to hit next it was unhighlighted. Sorry for the problems with setting up your email on the Apple device. We do need a little more info from you in order to help with troubleshooting. What version of the iOS are you running? The version can be found by going to : SETTINGS > General> Version. Also, where in the process did you stop? Let us know and we would be happy to help. Apologies that your question appears to have been left unanswered. I was reviewing the posts and I have assessed your question. I actually own several Apple devices, so I hope I can help you with this issue. In terms of the email accounts, if you one saved, it doesn't mean that you have to keep it. You can select the account and edit it. If necessary, you can also delete it and then re-create a new mail account. If you can provide us more information on the device you're using and version (SETTINGS>GENERAL>Version), then we don't mind helping if you still require assistance. I am not able to delete my emails. 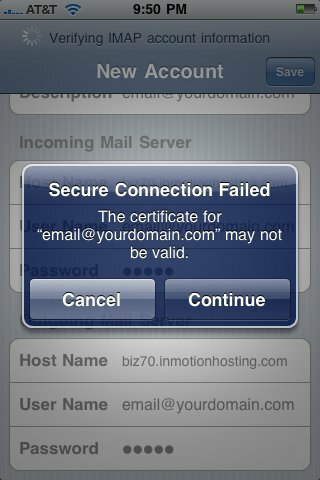 i having problem with with my newly created company email account on my iPhone. I am not able receive or send from my phone. I will only be able to view my mailbox on iPhone with new mail when I download it from my laptop. When I send from my phone, there will be an error msg saying the recipient's email is rejected by the server. Thank you for your question. Since there are many causes for a recipient server to reject an email, we will need some additional information. Can you provide the full bounce or returned message? Also our Bounce Back Parser tool, can help narrow down the cause. If yo have any further questions, feel free to post them below. I'm having email problems with my iphone. I am able to send emails fine, but I'm unable to receive them on my phone. Under Advanced Settings, I have SSL - ON, and Server Port 993 input. When I put the data in on my phone, I get all checks that it verified, but it doesnt work. It was working fine up until 8-OCT-14. Thank you for contacting us today. Your settings seems correct, you can view them in the cPanel at any time. We are happy to help, but will need some additional information, such as the email address you are using. Are you connecting via Wifi, or phone network? Have you tried disabling Wifi, and connecting again? If you do not want to post your information here in our public forum, please contact Live Support. This would also allow them to review the email logs or issues in "real-time." how to email settings for iphone 5s 16gb ?? We do not have a server587. You will need to find your server number as described above. The 587 is one of the port numbers used for non-secure email. You will want to use 993 for IMAP (highly recommended over POP for a phone). Once you get your server number and that port you should not have any issues. I have to delete my email from my iphone every 2 weeks and now I cant even get it to work at all. Thank you for contacting us. This seems really unusual. If you are not able to check your email at all, I recommend confirming your settings in cPanel. 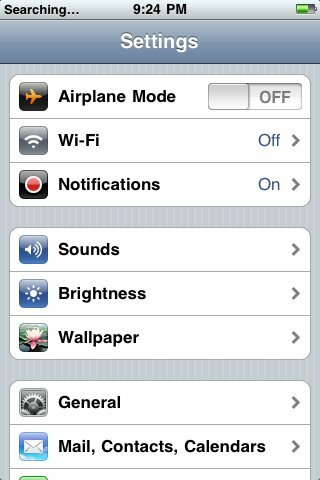 As a test, if you are connecting via WiFi, turn it off and try to connect over the phone network. If you are connecting over the phone network, try connecting via WiFi. This allows us to determine if it is caused by the network you are on. If your problems persist, contact Live Support so they can review your mail logs in real-time, and help determine the origin of the problem. In Motion Hosting is AWESOME ! 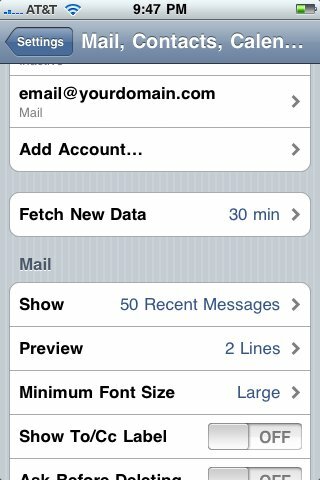 Now I Have Domain Mail Sent Directly To My iphone5 !!! How do I find my personal password? I have the password for our account with you, but I can't find the password for my personal emails. I took over this job from someone else and I have no idea what my email password is. It automatically comes up on my computer w/o me having to enter a password, but I'm trying to access my emails from my phone, but can't without the password. Thank you for your question. All of the email passwords for your account can be reset in cPanel. You do not need to know the original password to change it there. RESOLVED: After months, of working fine, I am suddenly unable to retrieve mail with iphone. Message, "The mail server 'secureXX.inmotionhosting.com' is not responding." Note: I am using IMAP, as most users with their iPhone will be. 1. Purposely changed to an incorrect password. Message changes to tell me the password is wrong. 3. Deleted account from iphone and re-entered all information. 4. 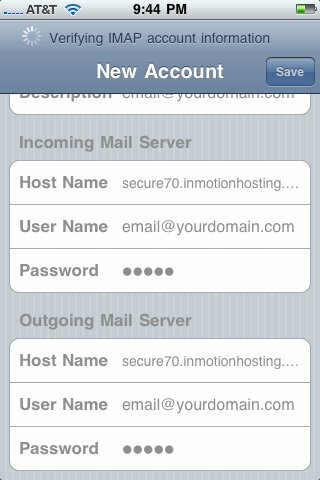 Accessed securexx.inmotionhosting.com from iphone (Safari) to make sure IP is not blocked. 5. None of the above helped. I finally went back into Settings > Mail, Contacts, Calendars > "my account name" > Account. Under Outgoing Mail Server > Other SMTP servers, click Add Server. For Host Name, type "mail.YOUR-DOMAIN-NAME.com" (Example: mail.freepuppies.com). Save it, then check your mail. Doing step 5 alone fixed the issue for me. If it doesn't, I'd suggest trying going back to settings: Settings > Mail, Contacts, Calendars > "my account name" > Account. And doing the same with your INCOMING Mail Server. 6. AFTER you are done with step 5, go BACK into the additional servers settings and DELETE the entry you just created. For me, IMAP started working just fine again. It's like it was vapor locked and adding this additional route allowed it to start flowing again. I am trying to set up an email account on an Ipad and I am receiving emails just fine but can not send email. I have the correct server number and am using secure##inmotionhosting.com user and password are correct under authentication it is set for password and server port 587 can you tell me what might be the problem. Sorry to hear you're having problems with email on your iPad. If you are using the secure settings for outgoing, then it should be set to use SSL and port 465, not 587 (which is for non-secure delivery). The incoming and outgoing mail settings should be using the same user (your email address) and mail server settings. Port settings depend on the protocol you're using and if you're using SSL or not. If you have any further questions about email settings, please make sure to take a close look at How do I find my email settings? Although this was helpful, I still have my account on my phone and for some reason it didn't fix my problem of connection to the server. Thank you for contacting us. I recommend checking your email settings in cPanel, and ensuring they are entered correctly (with no typos). Are you getting any errors? What are they? Thank you for contacting us with your iPhone problem. We are happy to help, but will need some additional information. What did Apple say was causing the problem with Earthlink? Have you tried a different port in your email settings? ISP's often block ports on their network. I'm having the following trouble shooting problems. 1) I am able to send out a email through the website but when I reply to that same email my yahoo account will say this email address is not correct. 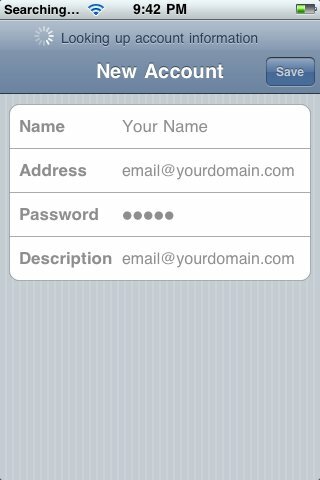 2) when I set up all the info required for iphone I can not see recieved emails either nor through the website. Be sure that your website is pointed to the correct nameservers. If you have recently changed where the domain points, then it may still be in propagation. This period can take up to 24 hours. If you are certain that the domain is pointed properly, you may want to contact your particular host to check the server logs to see how the email account is behaving. I have deleted the account and added it again, checked wifi, etc. It's been a few days and nothing's worked. Can you help? The incoming mail works fine. Sorry for the email problems. What's happening is that the setting for SMTP is incorrect as indicated by the error message. Your SMTP setting should be secure142.inmotionhosting.com. The user should be the email address you're using, and the password should the email password for that account. The port will be 465. The error points to the SMTP setting which is the same as your outgoing server. I know that you're saying that you have the correct setting, but the error indicates otherwise. Please double-check these settings, this problem is not server related, but related to the client settings on your device. You can see the correct settings (multiple settings) for your email account by going to our How to Find Email Settings. When I say "multiple settings", it means that there are different settings that you can use for your email account. They will be listed in the Manual settings list. You can use either the secure or non-secure. I hope that helps to clear this up. If you continue to have problems, please provide us a little more information on the issue. In particular, it would help to know the settings that you are using for your device. Thank you Arn. It's actually worse now that I changed the Port to 465. I can no longer receive incoming mail. (Before it was only outgoing.) Can someone contact me to get this resolved? I work from the road! I'm sorry to hear that you're having continued problems with the Apple device. I am also an Apple user, and I can tell you that the problem is most likely related to a setting problem on your device. You did not provide any settings information, so I can't help you other than to try to guess what's wrong. Also, PORT 465 (SMTP) is for OUTGOING mail, it has nothing at all to do with incoming mail. So, if your incoming mail stopped, it's for a different reason. Unless you replaced the incoming mail port with 465. You would need replace "domainname.com" with your domain name. If you're not using secure settings then under the ADVANCED settings, scroll down and slide the USE SSL to the left indicating that you're not using it. Typically the port changes when you change this slider. 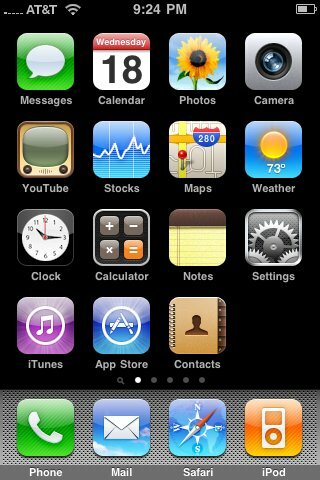 At least it does on my iPhone 4s. If you are using the secure settings for IMAP email, then you would use port 993 instead of port 143. The server name would be secure##.inmotionhosting.com. You would replace '##' with the server number. You would need to check off that you're using SSL. The IMAP path prefix is "INBOX all in caps". If you are using the SECURE settings for outgoing, then the port would be 465. The user name would be the same as per above. You would also need to go into the advanced settings and make sure that USE SSL has been selected. Also, the port doesn't changed automatically. You need to click on the Server port #, back space over the exiting port # and type in the one you want to use. I have done these settings many times on my iPhone, my IPad, and also my 2 different Macbook Pros, and I can tell you that they definitely work. Also, these aren't numbers we made up for our system - they're industry standard. You can go from host to host and you'll find these settings are usually the same. I hope this helps! If you continue to have problems PLEASE provide your email device settings so that we can review them and troubleshoot as necessary. If you have Two Step verification on your normal e-mail account you can't use it through Settings. As a verification code can't be sent to your Settings. Turn off two step verification and try again. That was funny to say! I hope you don't mind myself editing your comment a bit to make it more clear for others. Thanks for sharing that bit of information because it is helpful to keep in mind when using two step authentication and getting a password incorrect error that could be why. I just wanted to also point out that most Two Step Verification services offer the ability to generate an application password. For example two step verification in Gmail just needs you to sign in using app password if you're using a iPhone, or iPad this should do the trick! Thanks again for commenting and sharing your solution with others! my iPhone had been receiving email via IMAP fine until about 2:30pm today, at which point I get the message "Cannot Get Mail. Secure111.inmotionhosting.com is not responding. Any idea what to do to get it back up and running again? I'm seeing successful IMAP login attempts to your domain after 2:30PM. If you were still having issues, are you connected to a cell phone network and possibly getting bad reception, or were you on WiFi? Also it would be helpful to know the email account in question, and if you could find out what IP address your iPhone is using when having issues connecting to the server. We can use this information to see if your connection attempt is making it all to the server and if some connection issue is happening past that point. 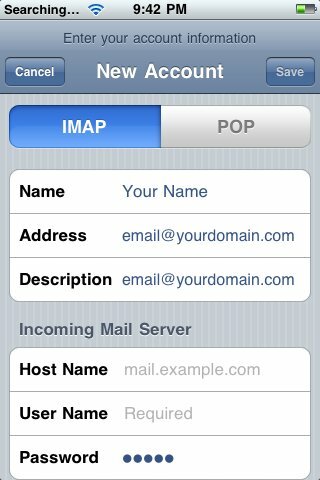 If you can't connect to the server at all directly in IMAP, can you login to webmail still from your iPhone? I am able to log in via webmail both on my laptop and on my iPhone, whih is what I'm doing now. The Mail app on iPhone is what's no longer accessing the secure111.inmotionhosting.com server, but is still working for my verizon home email, and a Bluehost email acct for a consulting job I have. I've double checked the settings before and they look fine. Let me know what I might need to do, and give me a call if it's easier. Thanks! Thank you for your question. I can see your IP address logging into the server successfully, as recent as 10 minutes ago. Are you still experiencing issues? Have you tried switching to WiFi; or disabling it if you are already on WiFi? I would first try restarting iPhone, just to make sure the mail app has not just crashed, or is having a software issue. Next, check your settings, to make sure they are correct. I have seen clients drop or change settings randomly. Next, performing a Ping/Tracert to your mailservers, can help narrow down where your connection is being delayed. You can also try communicating with your mailserver via TELNET. If you are still experiencing issues after checking all that, I recommend contacting Live tech Support and having them review the logs in real-time, while you are attempting to connect. Thank you for your comment. Yes, as a reseller, your email settings will differ; you can view your specific email settings in cPanel, which is explained here. This is included in our Everything Reseller page. I will updated the article with this link, for any other Resellers that may use this post. Unable to Move Message - the message could not be moved to the mailbox Trash. Thank you for your question. Here is a link to a similar question we answered; if you are using IMAP, this solution should work for you. I also found this discussion forum on Apple's support site, where they provide several other solutions. You can find your server name by viewing the technical details in AMP. The hostname is the server name you can use for your email setup.